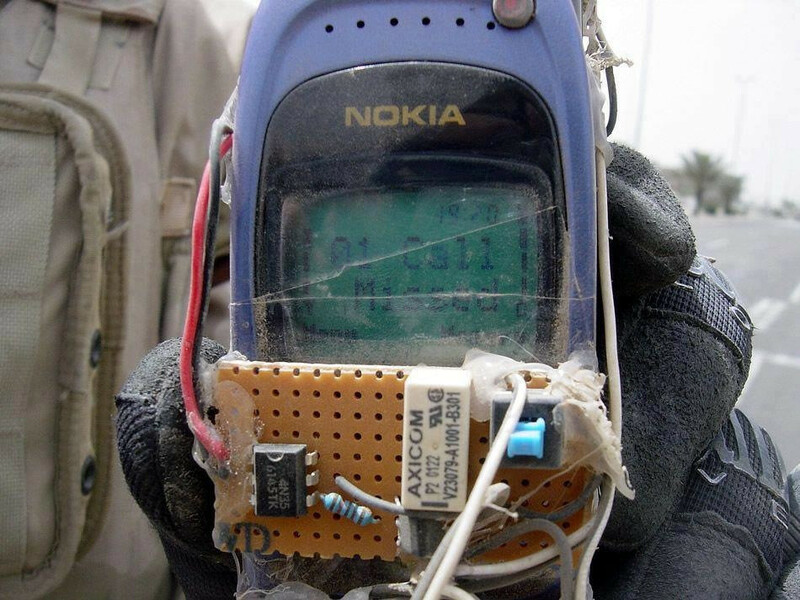 Somebody used this phone for this exact purpose before, except in that case, it was part of an ied, as noted above. To clarify, I don’t mean to be a “the alarm clock is a bomb” guy. I just wanted to add a bit of background o the above comment. To be fair, phones have been used like this for many different purposes. When I was younger I read about a boy who wired his phone to an electric shaver. When he called home (when on vacation), it would sprinkle fish food into his fish tank and feed his pets. Then the telemarketers call and the fish die. Also SIM800 module is $3.50 delivered. 3G, same path. 4/5G is the in thing. You should say 4G/5G/US-4G/US-5G I suppose. Or maybe they’ll call it NTSC-5G :) Has a rhyming ring to it. This site is a bit more hands-on when it comes to moderation. RDA was completing things with his Grand Pappies Ol Swiss army knife, The New Macgyver uses Google on an iPone ? LOL at ITAR violation, EFF/ACLU would have a field day. Velleman did a kit to do this a long time ago, I built one, uses the screen light on a call to trigger a relay. > and should work almost anywhere populated on the planet given the global reach of 2G networks. You mean the one that’s been decommissioned in lots of places already and is on the way out in others? Yep! I was going to comment.. I’ve had projects like that stop working on me now as the GSM networks are all shut down in most(all?) of Australia. Now we are working to re-use the cases of these classic devices for other projects. Yeps : Australia said a final goodbye to 2G when Vodafone shuts down the country’s last service on 30 June 2018. LTE has wider coverage than 2G because it’s being pushed to lower frequencies to increase cell size. Old UHF channel space is starting to get used for mobile operations. it wasn’t about LTE. it was about 3G. but say LTE coverage will be better soon – i agree on that. but LTE (luckily) doesn’t have no native voice solution, unless you consider VoLTE as one right now. but even if we say, VoLTE is the way to go (it is at least more efficient on bandwidth compared to its predecessors), the amount of VoLTE capable terminals is a minority compared to the rest. so people as they make a voice call, fall back to 3G or 2G. and the point of the article was to set off something “good” with just an SMS or phonecall, wherever you are. there are a lot more convenient ways to do this with LTE: like Cat-M1 – but the stuff is not there yet. otoh you can get those phones with battery everywhere for a couple of bucks, if you want to be looked at as a wannabe bomber. or you can get sim800l modules on ebay/aliexpress for next to nothing (~US$4 or so), which are quite a lot maker friendlier than any old phone – but you have to roll your own power management there. That was a standard function in a 3300. You could make your own ringtones and assing it to people, so just by having silence as the standard ringtone you could mute it. Quote: The idea then is that a call can be placed to the phone which is not picked up, but because it triggers the vibration motor it can be used to make the microcontroller do something remotely. A hack with limited capabilities then, but one that is cheap and simple, uses a recycled device, and should work almost anywhere populated on the planet given the global reach of 2G networks. Cheap and simple? You’ve got to be paying the bill on that cell phone account each month. That aside, given the billions of cell phones that’ll be made in the next few years, perhaps there should be a requirement that they have a post-cellular mode that’s still useful—maybe as an alarm clock or a camera for children. Give it a few more years of life. It might even be turned into a short-ranged two-way radio, with some button as push-to-talk. I did that with my iPhone 3gs. I left it charging with the screen on and ran a weather app. Presto, I had a continuously visible weather report on my desk—that is until the battery swelled up and died. My iPhone 5 is headed for a similar fate. Couldn’t the “continuously running” be part of that swelling? No. It’s just the failure mode of Lithium polymer cells when they age. This is sped up when the cell is fully charged or fully discharged. It will happen eventually. Heat is a big factor as well, as was commonly experienced in the days of Perk mining. One hack was to remove the battery and replace it with a power supply. For massive Perk mines, one common solution was an ATX PSU with a diode per phone to drop the voltage, also yielding a source of 12V to run cooling fans. Is it possible to run an iPhone without the battery, maybe with a capacitor to handle current sinks? No it freaking is not the failure mode of lithium batteries. The failure mode is migration of the ions resulting in gradual loss of capacity and a graceful retirement, bulging battery packs is what happens when you let shills for certain electronics companies tell you what is what. If you overheat lithium ion electrolyte it breaks down into hydrogen but it doesn’t do that with normal charging cycles (0.5 of capacity per hour) only when you cram the pack in a bunch of white plastic next to a processor with well below the bare minimum of ventilation. > Cheap and simple? You’ve got to be paying the bill on that cell phone account each month. You do realize there are parts of the world where you can easily get prepaid cards valid for 12 months since last top up worth a couple of dollars? Or a contract with no monthly fee, just whatever you spend on calls and texts? Or an secondary SIM card for your existing contract that shares the same pool of “free” minutes? Just sayin’. He didn’t say he used cell service for the weather app, he could just use wifi when its sitting on his desk. Hear that? That’s the sound of the joke going right over your head. Just think how much of a pnp machine could be eliminated if you just dumped parts into a bowl at the top, and sorted parts emerged in one of 16 lanes at the bottom. Plus, it would look like a marble maze too! Oh common, did you seriously delete my harmless joke about this contraption being a little bit dual-use?